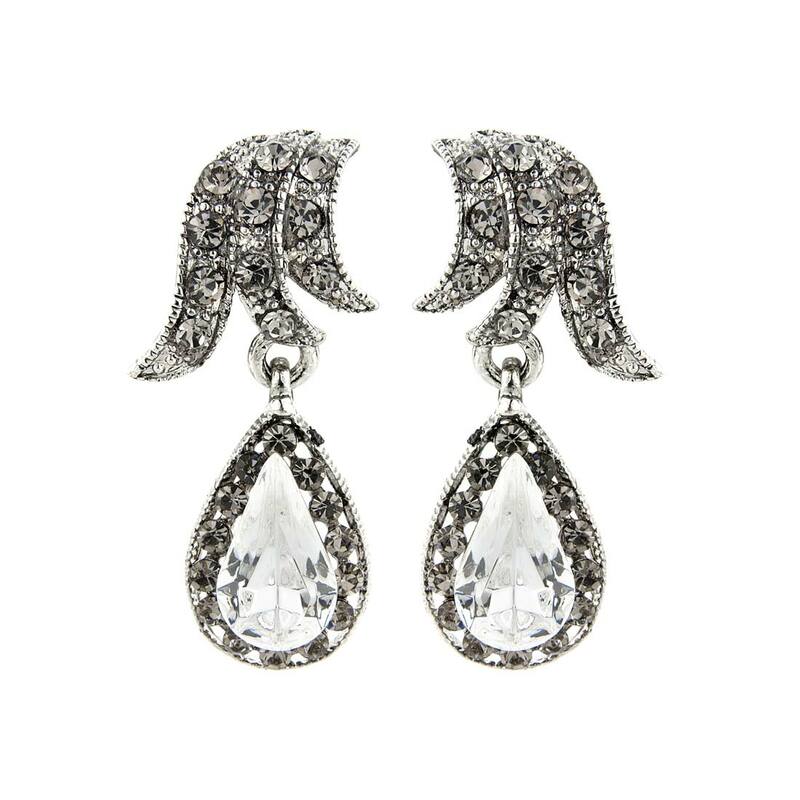 Easy to mistake for precious vintage earrings, these smoky crystal drops are to treasure. Embrace nostalgic style with our exquisite Forties Heirloom Earrings. Inspired by a pair of precious vintage earrings from the late 1930s to early 1940s with a subtle hint of Edwardian elegance, you would certainly be forgiven for mistaking these drops for a precious pair. Featuring a sparkling clear pear cut crystal outlined with shimmering smoky crystals and suspended from a feather smoky crystal stud, these chic earrings are sure to spend very little time in your costume jewellery box. Divine wedding earrings to accessorise a vintage style wedding gown with heirloom style. Accentuate their antique elegance with a bejewelled cuff and statement side tiara for sensational bridal style. I love these earrings so much - the picture doesn't do them justice! I wear a lot of genuine vintage and these look like the real deal. I can't wait to wear them! 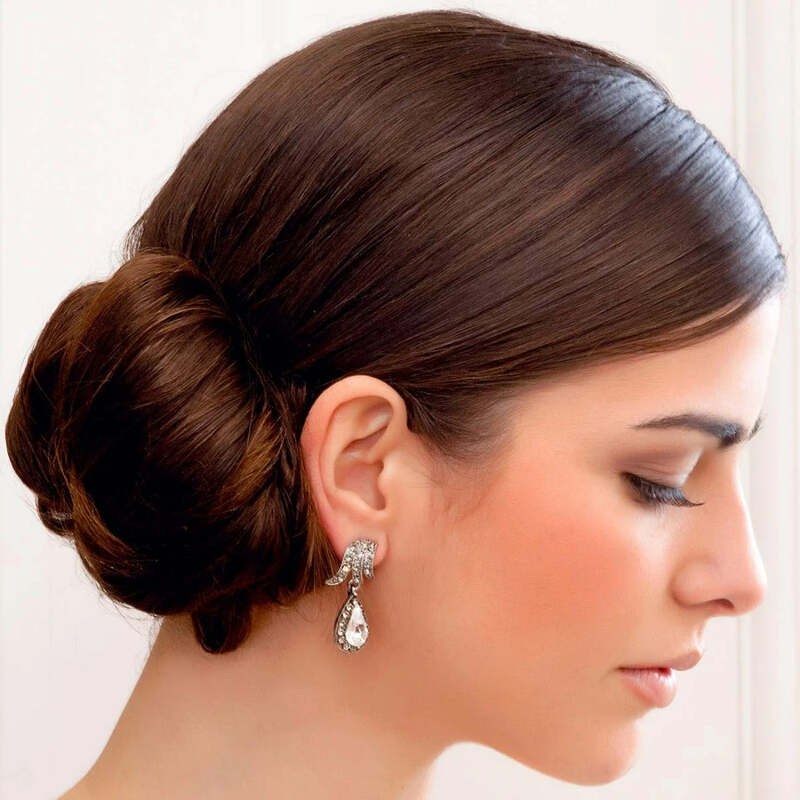 These are just stunning, fit securely and look fantastic with the Vintage sensation side tiara. Roll on Feb'14 when I get to wear them! Only downside is I can't find a necklace to match.